In the spirit of Laura Ingalls, with wash day being Monday, here's a little recipe for homemade laundry detergent you can use tomorrow, Monday! * I use these utensils for detergent making only. They all stay in the pot until I make a new batch. 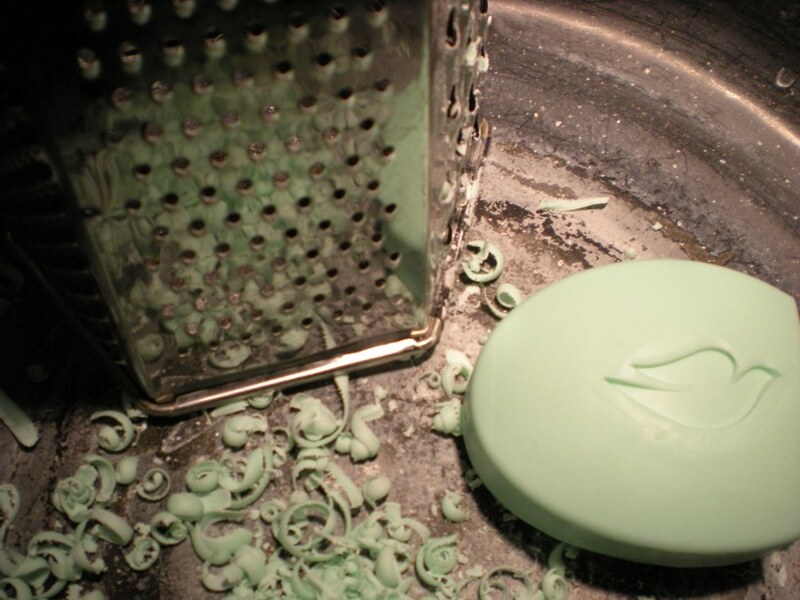 Grate your bar of soap into your pot. 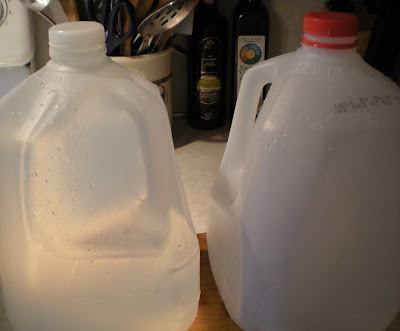 Fill one gallon jug and pour water into pot with grated soap. Cook until the grated soap dissolves. Add the Borax and washing soda. Bring to a boil. It will coagulate. Turn off the heat. Add 1 gallon of cold water. Stir well. 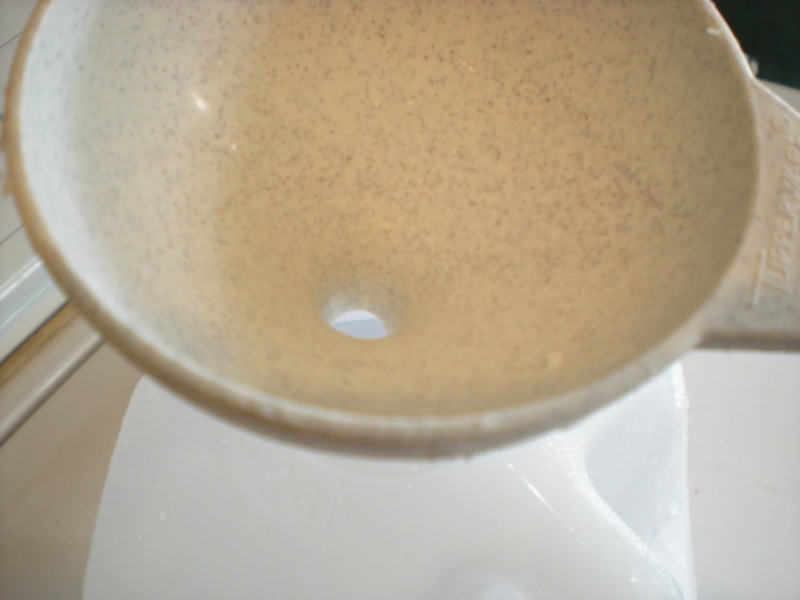 Pour 1 gallon of your detergent into each container. Now you have 2 gallons of homemade laundry detergent. I use 1/2 cup per load. With the prices of detergent being outrageous, I feel really happy every time I make a batch of this. This won't make many, if any, suds. Suds don't equal clean. It took a while to get that into my head. This detergent cleans wonderfully! Let me know if you make any or if you have any questions. ******edited to add that I now just keep my detergent in the pot I cook it in with the lid on. When I run out I make up a new batch in that pot and it's ready to go. I like saving the step of transferring into the jugs. ****** edited 8/8/2011 to address those of you with the issue of the detergent becoming too thick. Try using 1/2 of a bar of soap instead. * Edited 1/2011 to add comment from below about cost/savings! Any idea if this would work in a front-loading high efficiency washing machine? Also, where do you buy washing soda? Is it at the normal grocery store? Wow...I am impressed! Way to save money, woman! I'm not sure if this is okay for front-loading high efficiency washing machines. You can find the Arm and Hammer washing soda in the detergent isle, usually on the very top or very bottom shelf. In most of the stores I've checked it is already sitting next to the Borax. This looks easier than my recipe. I think I'll try it. I've just added you to my sidebar. I'm always glad to find a blog that I want to return to again and again! Do you find that it matters what type of bar soap you use? I've tried a version of this keeping all the ingredients dry and using Fels Naptha bar soap. Do you have a preference between liquid v. dry versions of it?? Thanks for sharing this! I find that you can use any soap you like. I have tried the dry mix and I like the liquid much better. I feel like it lasts longer for us. Hopping over from Time Warp Wife! I've had this on my list of things to try for some time! I have friends who make their own detergent and they get their supplies at Ace Hardware. I know our local WalMart doesn't sale washing soda. So, you might try a hardware store! Hmm might have to check it out. Is it really cheaper? Thanks for sharing. 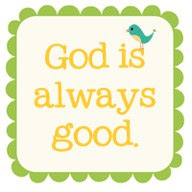 Come by and see my Titus 1sday post.It was nice meeting you. Thanks for the comments ladies! Yes, it really is cheaper. I get an estimated 576 loads per one box of Borax and washing Soda (about 9 batches of soap that make 2 gallons each = 32 loads per gallon = 64 loads per recipe using 1/2 cup of made detergent per load. So that's 576 loads for about 6 bucks! There is absolutely no comparison!!!!! Also I don't use the Fels Naptha because it is a fairly harsh soap. I like something a little more mild but any soap will work. I find my ingredients in the regular grocery store in the laundry detergent isle. Look on the very bottom or top shelves. I have used a similar version in my HE washing machine and is works just fine. Thanks for the new information about using any kind of soap and other tips too. I have made the dry version of soap for years. Last year I found Zote bar soap and use that to make the prettiest pink laundry soap! And you are so very right about the savings! That's so awesome, I can't wait to get some borax and super washing soda! I'm a new GFC and email follower! Does anyone know if you can use natural and organic soaps? Yes they are much pricier but it's the only soap we use in our house as the well branded soaps contain chemicals and preservatives that can be unhealthy for our skins and the earth. So, will natural and organic cold-processed soaps work? How about natural melt and pour soaps? First I want to thank you for that great great tutorial, I have a question, maybe stupid! Your using gallons, I'm European so I use liters, I checked on the internet for conversion and find that there is two gallons one is called gallon (US) and the other one is called gallon (imp), can you tell me wich one is it cause there is a huge difference between those two once you convert it in liters. This way I will be sure that my bottle is big enough! I can't wait to try it, as soon as the supermarket one will be empty! Wow...This came at a great time! With the new year, I am REALLY trying to get a handle on where our money is going and saving every little bit has now turned into a little "game". In the past I would turn my nose up at making my own laundry soap but in today's world, it is so important to be as frugal and smart with your money as possible. I am SO going to do this. Thank you so much for the tutorial and helping me save more money for my family!!! I will be checking back often for your awesome ideas! @Tracy, I have thougth about buying Rit so many times to dye my clothes, but the thought of the mess always scares me. Do you dye clothes in your washing machine? @chick'n, the images look like 3 liter milk containers. I am so exited about that! Yes that would be US gallons. Also I have been told that this detergent is fine for HE washers! Well, I can't find borax here in europe, if anyone can tell me what I can use instead, and also I can't find washing soda but fine soda and crystal soda wich one should I bue for that purpose? I am in Scotland. Can you tell me how much Borax and Washing Soda you put in, as we have different sizes of packets, to the ones you have. Sounds a great idea. I've used this same basic recipe for years and I use it in my HE washer with no problems. I also use a diluted version in a spray bottle for general house cleaning. I do use the Fels Naptha soap for my husband's work clothes, but for everything else I use all natural castille soap and I add some essential oils for scent. Usually Lavender for linens, and citrus for work clothes. Thank you so much for this great idea! the problem with most soaps in HE front loaders is the suds. because this doesn't produce the suds it should be fine. I couldn't reply through e-mail I hope you see this. It is good for sensitive skin. Just use the soap that you would typically use. The arm and hammer and the borax don't bother my skin at all and I have really sensitive skin. Thanks you so much for the reply! My husband is going through chemo and radiation, and we're trying to save every way we can! I'm so excited to try this! I saved my last 2 laundry soap containers, I'm just going to put them in that! I will keep your your husband, you and your family in my prayers. I'm happy this has helped you in some small way. How is your husband doing with his treatments? 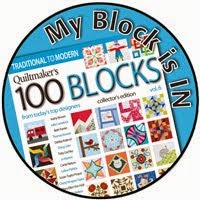 My e-mail is whynotsew[at]yahoo[dot]com if you would like to e-mail me your reply! I love this detergent! I use it in my front loader machine all the time! I have even been able to cut out fabric softener, which my directions suggested you could do, except for my towels. So easy to make and so wallet friendly! I just made this detergent today. Does yours have the consistency of gelatin? I after I poured it into my containers, I let it cool and came back a few hours later and it had become so much like jello that I couldn't even get any out of the bottle without squeezing it!! Ahh! Did I do something wrong? Other than that it smells great and I can't wait to try it out! 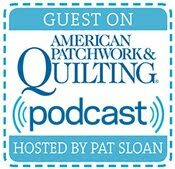 @Shane How much do you use per load in your HE washer? Is it still half a cup, as suggested in the recipe? I just finished making my very first batch and my kitchen smells AWESOME. Hi Aimee- It does get gelatinous. It's normal and works and smells great! I don't think they will strip the diapers. As far as harmful residue, i believe it to be much more gentle than commercial laundry detergent. I have very sensitive skin and I have no problems with it. Thanks for the recipe! I just made this after years of using the powdered version. 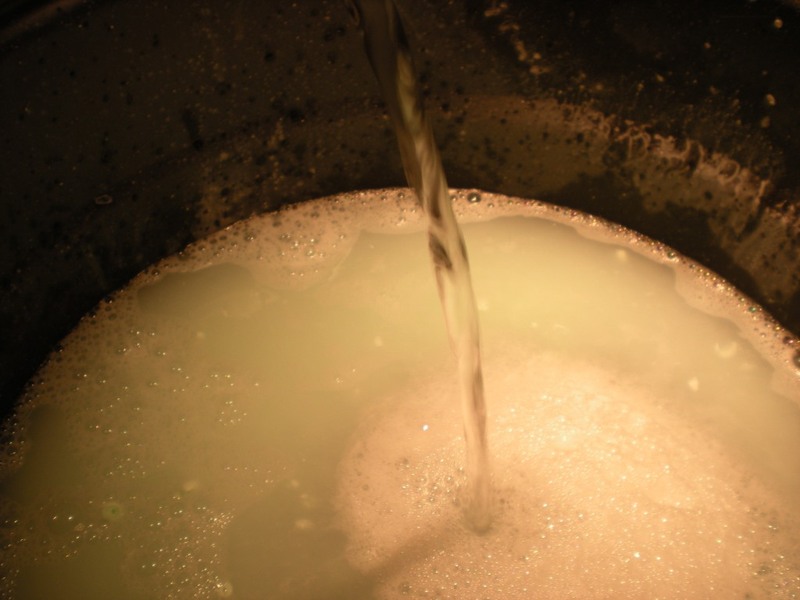 Wuestion: I added the 2 gallons of water and THEN brought to a boil, so it is not coagulated. How liquid is the final version? Mine is like water, so I don't know if I should scrap it or continue to use it as is. Thanks Erin. I used dove and some Fels that I had leftover from my powdered stash. It is still hot in the bottle, so I will give it some time:). Well, I did mine as per your instructions and a 1/2" foam top (looked like sponge) across the top. I tired to whisk it and flatten the pieces with a with a spoon. So.....what to do? I can't seem to find the Arm & Hammer stuff anywhere in my city! I'm wondering if I could substitute with OxyClean instead. Found your idea on Pinterest, LOVE LOVE it!! I haven't tried it yet, but cannot wait til I do! I also featured this on my blog. I love this idea and am so excited to try it, my question for you, I am assuming that you use the entire box of each borax and booster? And then what size boxes are they? Thanks again for sharing this!!! Hi! DON'T use the whole box!!!!!!!!!!!!!!!!!!!!!! !only 1 cup of each!!!!!!!! Just cooked up a half a batch of this, but it hasn't thickened at all. Any ideas why not? I saw a similar question above but couldn't find the response. Hi there! The detergent will thicken after it cools. Within 24 hours! I hope you don't mind I shared the recipe on my blog (http://twebby.wordpress.com/2011/07/17/homemadelaundrydetergent/ ) giving you all the cred of course! I did just as the recipe said and when I went to use it it was completely solid! I am redoing it but wondering if I should skim off the extra soap on top before pouring into containers? I've had some batches turn out more solid than others. I simply squeeze the container to get the detergent out. It is still good to use. I wouldn't skim anything off. But you could try it if you'd like! I found all the supplies at Drugstore.com....if you order enough stuff you get free shipping and it tax free too (for me at least in GA. Not sure what state they are based out of). I have been using the liquid version of this for years in my HE washer because of my hubby's skin issues. When the washer repair guy came to replace the gasket (torn by pens left in son's pockets), this is the detergent he recommended. I make mine in a 5-gallon bucket that I got from the hardware store. I keep it in the laundry room next to the washer and use an old laundry powder scoop to dispense it. I've read through the comments and haven't seen this question posted yet. How about fading? I've always wanted to make my own detergent but always back down because I'm scared my clothes will start fading. Anyway opinions/experience with that? @Kristen - I don't know the answer but I did want to say that Bromer's does make bar soap too if the answer is no. You probably already knew that but just thought I'd share for the sake of looking stupid I guess lol. I'm not sure about bronner's liquid? I don't think it will coagulate though. Great thanks. I may just have to give it a shot then! @Courtney - well, actually, I didn't know that! :) I'm fairly new to the world of Bronner, I will look for bars!! My question would be about the potency of the fragrance...I'm the kind of person who LOVES smelling my laundry and it smelling fresh as long as possible...how is this for that? Hi there! I'm also having a problem with the consistency. It's so solid it wont come out of the milk jug! Any suggestions? Oh thank you for this! 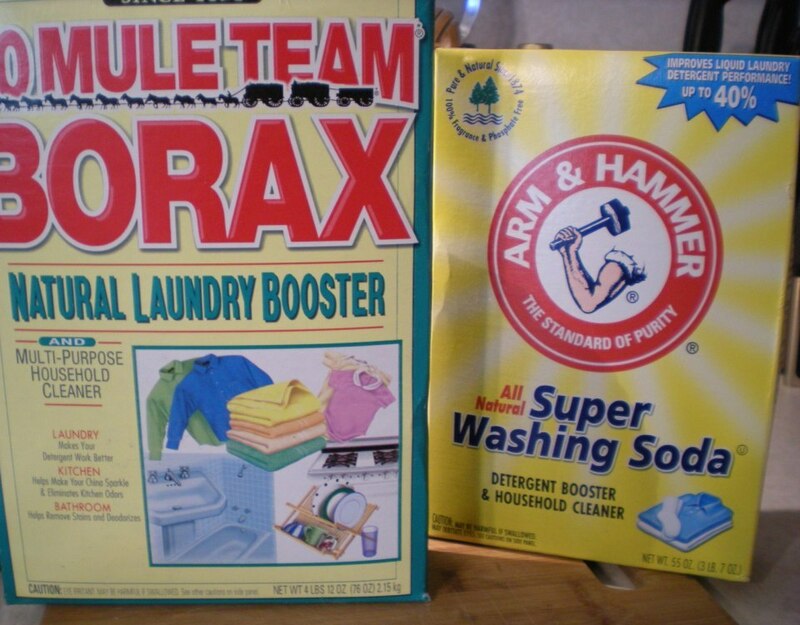 I'm making a batch today, just bought the washing soda and borax. May I link to your blog from mine once I have this completed? I'll post pics of my batch, and direct everyone to your blog for more info. Feel free to email me. I also got thick stuff....and it's only been sitting for 3 hours. Hmm...maybe because I poured it in glass? Any way to salvage it? or maybe it was me halving the recipe...i put some also in a leftover detergent bottle and that's thick too. i love this recipe! so easy! my husband just quit his job for something part-time so he can join me in our full-time bible ministry :) so any way to save money is great! thanks for the recipe! All that's old is new again. My grandmother used to make this because I was an allergic kid and this was better for my skin/rash issues. To be even more 'frugal' she used to save the 'slivers' of soap once the bar was nearly used up until she had about a bars worth and use that instead of using a new bar of soap. I'm thinking you could use several of the little hotel size bars if you collect them as you travel. I made this today. I am in Canada so I had to look for a couple of the items. I did find mostly everything I needed at Sobeys and the Superstore. Anyway, I made it, and I have been using it all day. Once you get over your own expectation of perfumed laundry, you really notice how clean the clothes are. My clothes do not smell like a fake tropical island, or flowers or anything. They smell clean. Pure and clean. I love it. Thanks for this recipe! Just wanted to say I tried this today and am really impressed. I don't see any reason to every buy expensive detergent again...thanks! This looks great!! I think I will have to give it a try once my bottle of store bought detergent is gone. I have a question though. Do you have to separate it out into the 2 gallon jugs? I was thinking, considering the coagulation issues people are having, if it could be stored all together in a big bucket and scooped out when needed? Love the laundry detergent idea! anyone have a dishwasher detergent recipe? That stuff is expensive also. Do you think that adding in some essential oils would negate the cleaning process? My DH likes his clothes to smell like "laundry." Tide is is favorite smell, too strong for me. Essential oils are perfectly fine to add to this! Can I just leave this in the pot after I cook it? Put the lid on it and store it in the laundry room and not bother trying to funnel it into containers? I just posted on my blog about making this detergent. My detergent separated...there's water and a thick film on top of it (the soap I'm assuming). Could it be the soap I used? I have had a batch to seperate before and you can reheat it again (which I DIDN't) or just shake or stir it before each use. 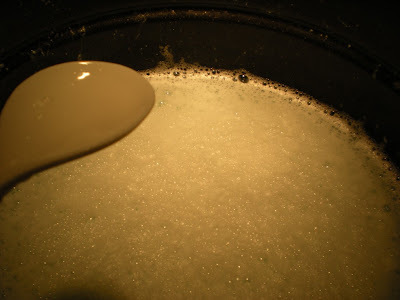 I bring the detergent to a boil for less than 1 minute after adding the powders and then take it off the burner and keep stirring for a bit to dissolve everything. Ok well it's been 24 hours and its still liguid, is that okay or do I need to try it again???? I would use it. You will find a variance in consistency with different soaps. I have had thinner batches and extremely thick batches. I have used them all. You can always add an extra small scoop of borax to the load but I don't really do that either. Love this!! I'm a new follower. Found this on Pinterest. A quick FYI- my kids have eczema and sensitive skin- our allergist said that Ivory is very harsh for those with sensitive skin (can you believe it!?) here i thought ivory was the gentlist. Anyway-just wanted to share that for those of you with skin issues. She suggested Aveeno. I havent tried it yet so I cant attest to it but just wanted to jump on and share. Thanks for the awesome idea! Okay, I tried to skim through the older posts, but could only read so much (you are so popular!) I followed the recipe, but mine boiled over when I wasn't looking (curse you, Pottermore! ), and as a result it was really thin. Can I thicken it up, or do I need to start from scratch? Hi Erin: Found you thru Pinterest. I'm currently using soapnuts (berries from the soap berry tree). Have you ever of them? I'm willing to try anything natural and cost cutting! Laundry soap is sooo overpriced these days! Thanks , I will give this a try! I have used this recipe for 8 months now- only I didn't heat the Borax and Washing Soda. I haven't tried any other soap bar than Fels Naptha- but started the detergent the same: grating the bar up and placing in a pot of water, and heating until the soap shreds are dissolved. I place that in a 5 gallon bucket bought at Home Depot, then add hot water half way up the bucket (I do this in the bathtub), and add the one cup each of Borax and Washing Soda. Stir and then fill close to the top with more hot water. I put the lid on and keep it in my laundry room. My directions say to let it sit for 24 hours- and it is gelatinous- I use a whisk and break up the chunks. I use a one cup measuring scoop and use one cup of this with my laundry loads- sometimes a little bit more if they're extra dirty. I still use separate stain spray/gel on my stains though, but as an all purpose laundry detergent, I've been pleased. I think next time I might try a different soap bar, just to see the difference. I would love to try this, but first, has anyone had success with it and HARD WATER? Just made this and I can't wait to use it! I bought lavender soap and added a tiny bit of lavender essential oil, as well. My kitchen smells so good now! I will be using this recipe for the rest of my life! This is a great idea! and I can't wait to try it out. you can make washing soda!! Do you have to use washing soda? Or can you use just plain baking soda because I'm having a hard time finding the washing soda! I would like to see the actual cost breakdown on this. Per batch. etc. Right now I can't see how 500+ loads will come of $6.00. 1/2 cup per load would equal 64loads for 2gallons of this detergent. I am assuming more batches can be made, but how many and how many bars of soap. Just curious as I am a numbers person. I actually couldn't find washing soda at any stores around here! The closest place that carried it was 1/2 hr. away! So I called the company, and if you buy 2 boxes of washing soda (about $5), then you get free shipping! Hope this is helpful for some of you who can't find it! I'm going out tomorrow to find ingredients for this. I was wondering about the 1/2 cup thing though. The detergent that I use right now, I only use about 1/4 a cup of. I've been told that it's not good to use lots of laundry soap because it will just stay in your clothes and gum up your machine. Made this about a week ago and MAN am I glad I did! Works great. As for getign thick, as some have mentioned - mine was so thick it wouldn't come out of the jug so I put the lid back on and shook it like nobody's business and it loosened it up enough to pour. :) MY clothes smell fabulous after washing. I was able to find my Borax and Washing Soda at Ace Hardware. For the person who asked about Dr. Bronner's--did you try it out? Seems like maybe you wouldn't even need to boil it--just use some hot water to dissolve the dry ingredients. I'd almost rather my soap did not coagulate, as I hope to use my recycled Kirkland 1.6 gallon jugs, and they have a spout so liquidy would be better. On the other hand, like the idea of the 5-gallon home depot bucket, too. Also, once you've used the pot to boil the soap in, is it still safe to use it to cook food in (after a good scrub out, of course)? I would need to find either a no-boil bucket method or a sacrificial soap pot if it's not safe any longer. I am planning on trying it this weekend. 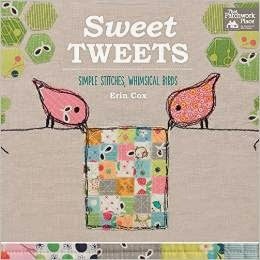 :) Do you think that this would be okay to use on cloth diapers? For those of you who is it very thick for, consider adding one more gallon of water and then use 3/4 of a cup instead of half a cup. And for those wondering about use on cloth diapers, if you use a bar soap you trust and don't have trouble with, it will be fine. Just made this recipe today and have been happily using it on sweaty-theme-park-vacation-clothes: it works BEAUTIFULLY! Thanks so much for sharing! You made the directions super clear and easy to follow! THANK YOU! 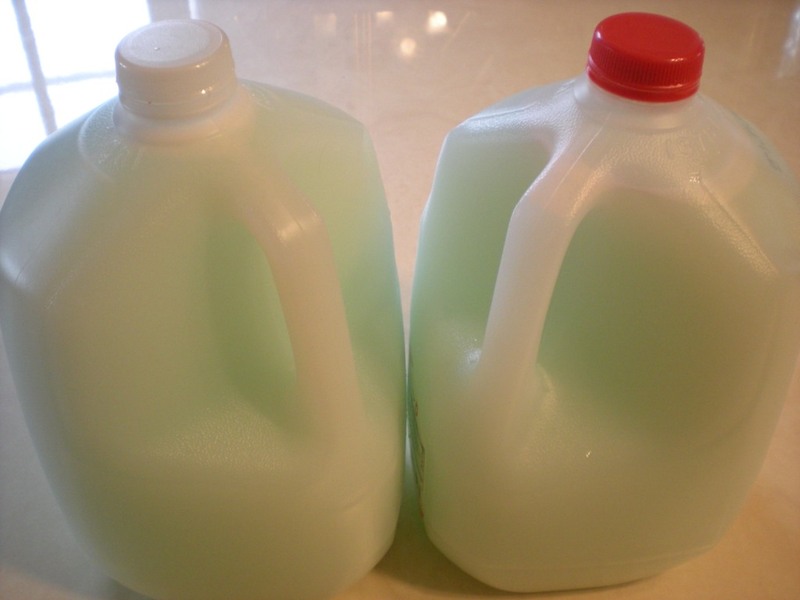 A tip: if you have a problem with your soap separating, add a couple of marbles to your gallon jugs, and shake before use. loved this tutorial and all the great feed back that followed, so I shared it on my studio blog.... cheers. I love this recipe, I got it from a friend and I will never go back to store bought detergent. One question, I like my detergent scented, I saw someone say they added essential oils and I wanted to know how much. I added about a tsp to my batch and I can't smell a thing but I am afraid of adding too much oil to the detergent. Any suggestions?? Hi, sounds like a fantastic recipe, is it suitable to use with a septic tank. I am worried that the borax could kill the beneficial bugs that break down the waste. Im attempting my first batch NOW! Thanks so much for the post. I just found your recipe thanks to Pinterest and made my first batch! I used a bar of Softsoap Orange & Honeysuckle soap, and it smells Fabulous! It turned out to be quite congealed (I liken it to Lye Soap that my Grandma used to make and use for her laundry). Did my first load and LOVED IT! I just put the detergent in first and let it swish around enough for it to melt before I added my clothes. Should this be made in a pot you never use for cooking food? Or could the pot just be cleaned out well before the next time? Hello, i am going to give this laundry soap a try. Just need clarification on one thing. Is there any difference between the Super Washing Soda by Arm and Hammer and regular bulk size baking soda by Arm and Hammer? I use the baking soda for my laundry already as a way to freshen laundry without having to bleach. What do you think? Do you know if the washing soda and borax would be ok for sensitive skin? There is a difference in washing soda and baking soda.... Washing soda is Sodium Carbonate Decahydrate. Baking Soda is Sodium Bicarbonate. The results will be different if you use baking soda. I tried this recipe tonight, but halved it since I didn't have a pot large enough! I'm keeping my fingers crossed it turns out alright, it's still cooling and thickening so we will see :) Smells wonderful!!! Thank you for this recipe! Have just made up my first batch and eagerly waiting to see how it thickens up (if the stuff I spilt on the kitchen floor is anything to go by, it'll be fine!). Note to other european laundry makers, you can buy 'Borax substitute' a safer version of Borax, I got mine from a UK company called Summer Naturals, but no doubt there are different retailers across the continent. Thanks so much for posting this, the cost of laundry powders makes me blanch in the supermarket! Is there a way to save a batch that became too thick? Can I just water it down? Or does that decrease the effectiveness? Or do I need to scrap it and start over? After reading through 100 comments, I haven't come across this question. How do the underarms of shirts smell after being washed in it? Do you find you have to wash a couple of times to get body odor out? I found this recipe through Pintrest, and have been using it for the past 2 weeks. I have to say, I was skeptical at first, but had to try it! I have used it every day since, and am very impressed, my clothes come out perfectly clean and fresh. No stiffness, no residue or anything that I thought would happen. With all of the money I am saving, I did invest in some good stain remover and fabric softener, but really that is just extra stuff that isn't really needed. Thank you for sharing! @Nikki - no worries there. One wash is plenty. My husband is a welder. He comes home smelling like you wouldn't even believe. His work clothes are fresh and clean after one wash. And I, I must admit, am the sort of hippy who often doesn't wear deodorant. No smells in my laundry either. Just made it and am so excited! Thanks!!! I also found this on Pinterest and was super excited to try it. However, when I washed my first load, I smelled my clothes and the armpits of the shirts still smelled. No one else seems to be having this issue, but I had to wash my clothes again with regular detergent. Is there something I'm doing wrong? I followed the directions exactly. Do you know if this detergent works well along with Oxyclean? We live on a farm and usually need an extra boost for stain removal! 1) Do you know if I can get the ingredients at say a walmart or target or do you have to special order online?? 2)Do you use any fabric softener with this? I find that our clothes get sooo stiff without softener. I currently use gain as its the only detergent I've found that feels/smells clean enough,so I also use the corresponding softener sheets. 3)If I wanted to "perfume" our clothes do you think adding in an essential oil would be alright to add into the mix? or would the oils' scent be lost in the fragrance of the other ingredients?? I'm definitely trying this one out. I do find that sometimes when I use cheaper detergent my clothes tend to fade easily. Does this detergent fade your clothes at all? Will a certain soap work better for this? Thanks. This is the best! It costs me 2.50 just to wash a load of laundry at our apartment complex, we only have coin operated machines :( And having to buy expensive laundry soap on top of that is killing me! I so appreciate this! I don't know if I did something wrong but mine never coagulated. it boiled over the pot and the stuff that landed on the stove coagulated but never what was in the pot. Also why wouldn't it work in front load washers? I live with someone who has one and I didn't read this until after I made it. Is it going to mess up the machine. I've been making the powder detergent for about 3 years now. I was always intimidated about the process of making the liquid b/c I'd only seen directions for making a huge 5 gallon bucket. I saw this on pinterest and decided to give it a try. I guess I need to go buy a bigger pot! The first one I tried, it boiled over. So I transferred that to a bigger one (the biggest I have) and I ended up not having enough room to pour the 2nd gallon of water in--so I just poured equal amounts in the jugs and then shook them really well. Since it had boiled over, my stove and floor are now very clean :) Thanks! Very important to add cold water before the soda:'( It will swell and spill over in a hurry! My stove is nice and clean now! I just made my first batch....used lavender soap...smells great!! This is AWESOME! My Husband is Military and I need to know if this will fade his Uniforms when I wash them? my family has extreme sensitive skin and we've had no issue. Also every Walmart in town (but not Target) sells the washing soap stuff. And last, I do miss the "clean" smell coming out, and when I do a sock load the bottoms are definitly not as white as with commercial detergent. I used Dial for the grated bar soap. I just found your blog through pinterest. I am SO excited to try out this homemade laundry detergent recipe!! I just made this yesterday and I'm very excited to start using it. Although my batch seemed to separate and is coagulated at ALL. It's very liquidy and just doesn't have that detergent consistency to it. Do I do something wrong? It was doing just fine until I added in the cold water at the end and it never seemed to thicken back up. It's been 24 hours and I tried shaking it up to redistribute, but that didn't seem to do anything. Anyone else have this problem? Ok. I made a batch and it was super easy. But, now I have a congealed blob inside my plastic jug. What did I do wrong? Greetings from Texas, USA, I have been making your recipe for nearly a year and I love it!!! I have saved I don't know how much money!!! It's great! I have given the recipe to one of my best friends and my sister in law and they both love it!! The only problem is, is that I have been only using 1/2 cup of borax and 1/2 cup washing soda! But it still seems to work fantastic, I think I'm going to use 1 cup of each from now on. Not really sure how I got 1/2 cup from 1 cup!! LOL!!!! Thanks so much for sharing. Hey! I just whipped up a half batch of this stuff tonight. I have been meaning to do this for years but have always been in the middle of some massive upheaval of our lives and it got pushed back on the to do list. I even toted a box of grated soap i had all ready for it across the country to our new temporary home. I use pink solution quite a bit and this seems to have a similar consistency... i am willing to bet it does an even better job tho! I use front loaders... I think they will be thankful for the lack of suds-ing, often it has to pause for a half hour or more to wait for the store bought laundry detergent to un-suds a bit before it can continue. Thanks for makin it simple and accessible! I didn't see anywhere what size of bar soap you're supposed to use. I've seen anywhere from a four ounce bar to an eight ounce bar. I just wanted to comment, I have been making soap for about 15 years or so, I use the Fels Napha, I make 5 gallon at a time from 1 bar plus 1 cup each of the washing soda and borax, when it is too thick I shake it before pouring and it usually thins down enough to pour. Also I keep a bar of the Fels Napha in a dish with a old toothbrush to use on spots, works great. I have introduced several of my friends to the recipe and some have the new front-loaders, they use the soap directly on clothes and not in their dispensers since it could clog from being thick. I make mine the same way Nancy does. I get a 5 gallon bucket to make it and pout into an old detergent bottle with the pour spout. I absolutely LOVE this and it cost me less than 1 cent per load of laundry! I will be doing laundry for about 18 more months on the batch I made! I have a question, I have a child with VERY sensitive skin. I always have to buy the detergent that is free of all dyes and fragrences, but I can use the sensitive skin dove soap on him in the bath tube. So I could use that as my bar of soap, but does anyone know if any of the other ingrediants could cause a problem? Thanks so much! I don't know why but I tried this to a tee and mine never coagulated? I don't know if I understood that step do you boil until it coagulates (i did for 15min and it never did) so I turned it off after your updated note at the end and thought it would thicken when it cooled still no thickening going on?? my pot just looks like water and I only put in one gal. of water and followed the rest to a tee. Just wondering what kind of bar soap did you use? I made this a couple of days ago.. it was super easy to make, and kinda fun. looked perfect at first, but then got really thick like jelly. no way you could pour it out of a jug, so i reheated it and added at least another gallon of water and its better... but still too thick. when i have a little more time, i'll thin it again. but... i have washed several loads of clothes, and they are very clean, and I like 'em! now, what to do with the left over baking soda and borax?? Could this be used as a dishwashing liquid as well? I have seen a couple ppl ask how much essential oil u can add to the mix and from the other recipes I have from various places it is said: You can add between 10 to 15 drops of essential oil (per 2 gallons) to your homemade detergent. Add once the soap has cooled to room temperature. Stir well and cover. The question I have I have seen others ask but no one has answered yet. I use homemade soaps with oil bases like olive oil and coconut oil plus essential oils...would this clean as well as say Dove and other commercial made soaps? Does it matter what size bar of soap you use? 4 oz or 8 oz?? I use 4 oz. bars! When you say use 1/2 cup per load, are you meaning a small, medium or large load? I just made my first batch ever. Used ivory. Boiled for about a minute but it became violent quickly so had to keep removing it from the heat. I'll report back after I use it tomorrow! So I made this... somewhere I got it into my head that it should begin to congeal while boiling... hmmmmmm... so yeah, I boiled/simmered it way to long. It's a wee bit thick... as in it holds it shape in the container I put it in. I am planning to add water and blend it but I'm not sure how much water I should add... just a little at a time until it's a better consistency? Either way... LOVE IT! Did four loads of laundry yesterday! Is it low suds? If so, that's pretty much what high efficiency washer need. That's how the manufacturers can charge so much by sticking that little label on it. If it doesn't suds up that much than it should work in a high efficiency washer. Let me know. I want to make this! I just wanted to say that I have made this recipe twice how. The first time I only used half a bar of soap and it was more watery then I would of liked, but it worked great and lasted a long time too. I just add oxyclean powder to every load since I have kids and a husband who is a welder. On the second batch I made it came out perfect. I also put mine in a home depot paint bucket with a lid. I let it cool in the pan a little before dumping it in. Thank you so much for posting this! I have shared it with a lot of people! Just made a batch 2night and did as one other guest did and for some reason thought I had to boil until I saw it congealing, so needless to say I will "squeazing it out of the jug. I just wonder if some ppl are doing this and that is y some are getting it too think and the mineral content and soap have little to do with it?? QUICK question: After u add the borax and washing soda, u just bring to to boil then add turn off heat and add cold water, right? U don't let it boil very long,right, minutes actually I am guessing?? I just had this horrible thought, does anyone know if I use the this laundry soap and it is quite thick, if it will harm my washing machine? I added it b4 I added my clothes and it looked dissolved but I had this sinking feeling just now that the congealed soap would cause my washer to get all "gunked" up or make the motor work to hard or some other such thing...this is all crazy thoughts, RIGHT?? How long does this soap take to make? It will work fine. Some soaps coagulate more than others. I have a question for everyone. I used lever 2000 soap for a fresh scent and used all the items listed above nothing else. When i took my jackets out of the wash they looked like they were bleached. What went wrong has this happen to anyone before?? I have never had that problem. I don't know what happened. I have used lever 2000 as a bath soap but not in the detergent recipe. It never lightened my wash clothes. The other 2 ingredients should not have that effect either. Is your water heavily chlorinated? I'm not really sure what that could have been. I am going to use Lever 2000 for my next batch to see if I can see any difference that I might be able to help you with this problem. I made this last night and used Dove soap. 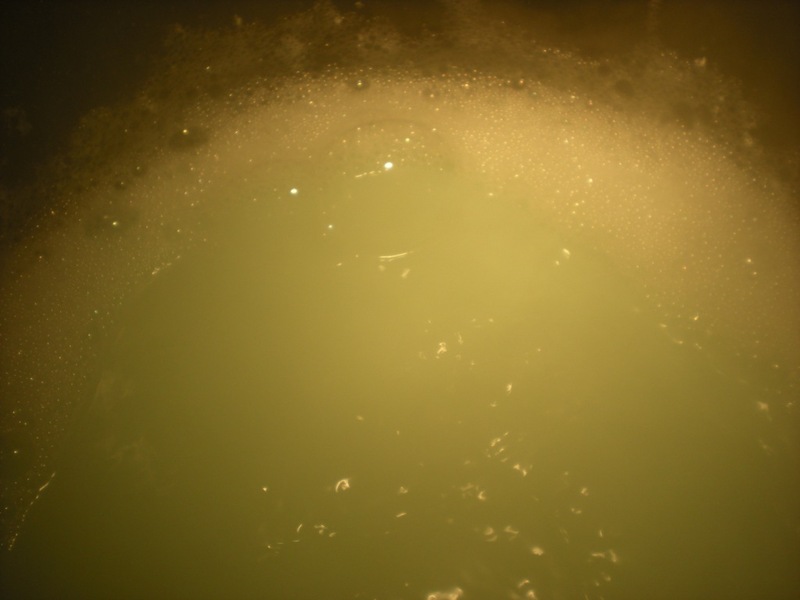 I also let my water,borax and washing baking soda boil for about 8-10 minutes and my soap thickened perfectly. It is the consistency of store bought laundry soap! Hope that helps! do you know if this would work without the borax? I am allergic to borax, and have to read labels to be sure I avoid it. It works much better if you use a "laundry soap" such as zote, found in the laundry aisle. I will try this. Looking for ways to save and this looks like a good one! I also found this on pinterest. I have tried a similar recipe that used 1/2 cup borax and washing soda. The first batch didn't get very thick and the second did get quite coagulated. I used Castille soap both times. On the congealed separated batch I used my stick blender to smooth it out. Worked great, but I still have to shake it each time. I used about 16 drops of essential oils. Lavendar and eucalyptus like the seventh generation we had been buying. It hasn't faded any of our clothes. To the one that used lever 2000 did you use bleach in your machine the load before that one? There can be residual bleach in your machine from the previous load. I ruined several dark things once from running them after a bleach load. So idk if this was asked yet but is this ok for me to wash with my babies clothes and blankets? I made it and was glad to hear some tips about thickness. It is so gelatinous that I have to squeeze it out in solid form. The supplies cost me $11 for the two boxes and two bars of soap (obviously total cost will be more once I buy additional bars of soap) but one tip is to shop around. I was shocked that the same sized box of Borax was 2.99 at Target, 6.99 at Ace and 5.99 at the grocery store. Had I not shopped around supplies would have been 15 instead of 11. Thanks for the recipe. I'll definitely keep making more. i just made this today and added an extra gallon of water to help with the "thick" issue. i love the smell, and it is thickening great so far, i can't wait to see tomorrow if it's completely thickened and awesome! thanks for sharing, i coupon, but this is by far the best deal. my mil, whom i made this for, always buys the bargain crap but for what she pays for a small container, i made your recipe. i can't wait to see how it works for her so i can repeat the process for myself after we move. Has anyone tried this with Aveeno brand bar soap? My kids have excema and most laundry detergents make it worse..I was thinking of trying Aveeno to see if it would actually help their skin but I am not sure if it would clean as well? I read on another site not to use any kind of moisturizing bar..Dove, etc...so I'm unsure of what soap I should use! So I was checking this recipe out (my soap is all done and cooling on the stove), and remembered that the Duggar's also have a recipe for laundry soap. Their recipe is slightly different (only a half cup of Borax) but uses way more water: 5 gallons, to be exact. Has anyone else added extra water? Had to have my washer repaired and the repairman told me I was using too much detergent. He said most people do and that over-sudsing is very bad for the washer. He recommended using 1/3 of what the box said unless the cloths were really dirty. I've been gonna try using homemade detergent for a while... You have inspired me to finally do it! Mine turned into Jello like consistency.... Possibly too much borax? I am making this right now. I can't wait to use it. Made my first batch yesterday! I was very excited to! Gathered the ingredients from windixie and ace hardware. Used a bar of lavender soap, smells awesome! Will be washing my first batch of clothes today.. Thanks for sharing this with us! Just grab a "lump" and throw it in the washer. It will work fine. Can you add scented oil to this to make it smell good? Is it okay to be a lumpy consistency? Im trying it now to see if its going to work, just wondering if anyone else's is looking the same? Mine is very lumpy and seems to work just fine! I made my first batch today and I have the opposite of "jello" Mime is practical water! I even added a little extra borax. I only made half a batch so I used half a bar of Dove, 1/2 cup of borax and washing soda and 1 gallon of water. What did I do wrong. Even this thin will it clean? New Item For Shop and Charm Swap Anyone? Aqua and Red Square in a Square...and it's Baby!